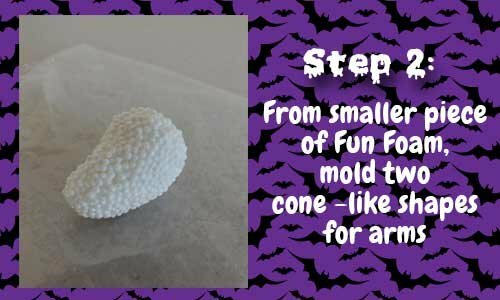 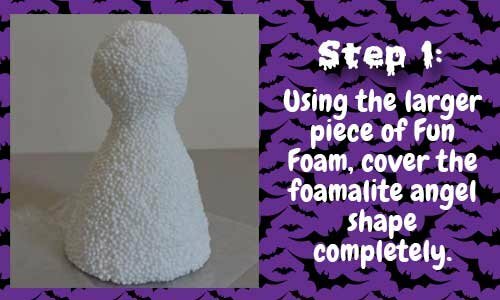 Separate the Fun Foam into a 2/3 size piece and a 1/3 size piece. 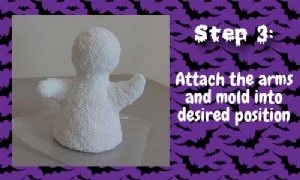 The smaller piece will be for your ghosts arms, for filling its' body out later and creating a "skirt" look. 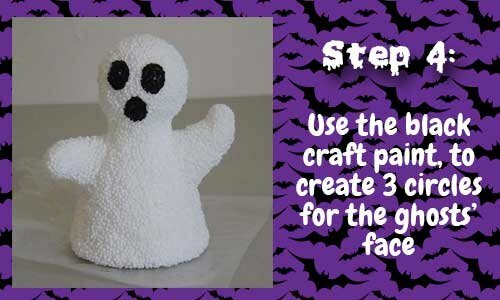 Using the larger of the two pieces, flatten the fun foam to create a "blanket" that you can use to cover the entire angel shape / ghosts' body. 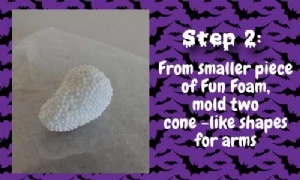 From your smaller piece of Fun Foam roll two cone-like shapes for the arms. Attach the ghosts arms where you like and mold them into an interesting position. 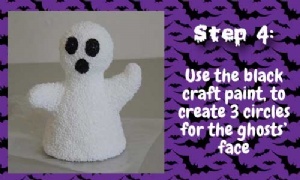 Using the black craft paint, paint three 20 cent size circles onto the ghosts' head for the eyes and mouth. 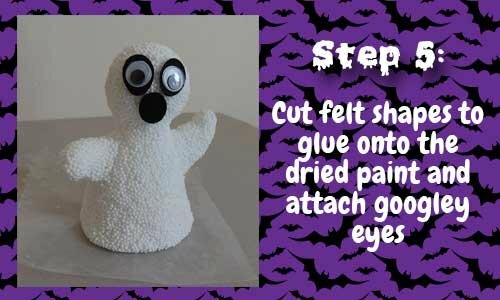 Cut the same size small circles from the black felt and glue them over the dried painted circles. 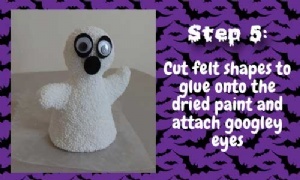 Next, glue the googley eyes onto the felt circles. 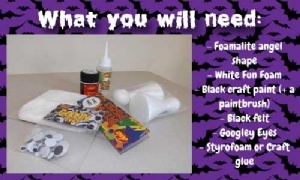 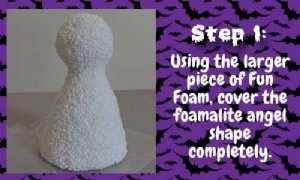 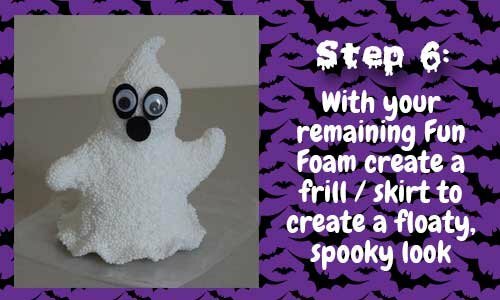 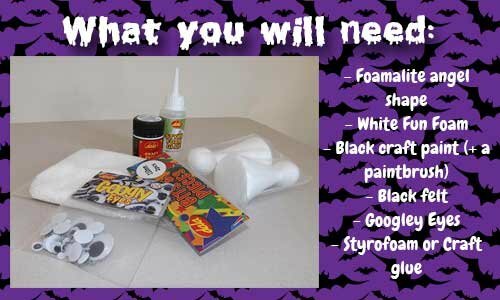 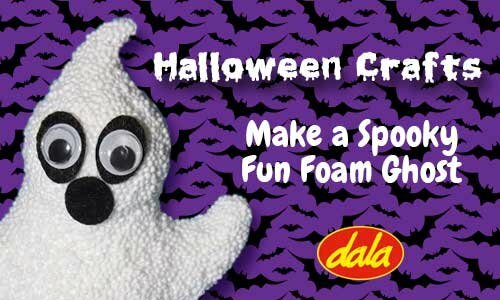 Lastly fill out the body with the remainder of the fun foam, giving your ghost a skirt to create a floaty, spooky look. 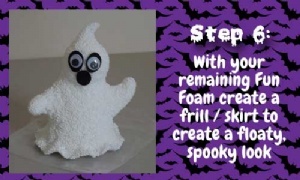 Use our ghost as a guide, and customise your own features.